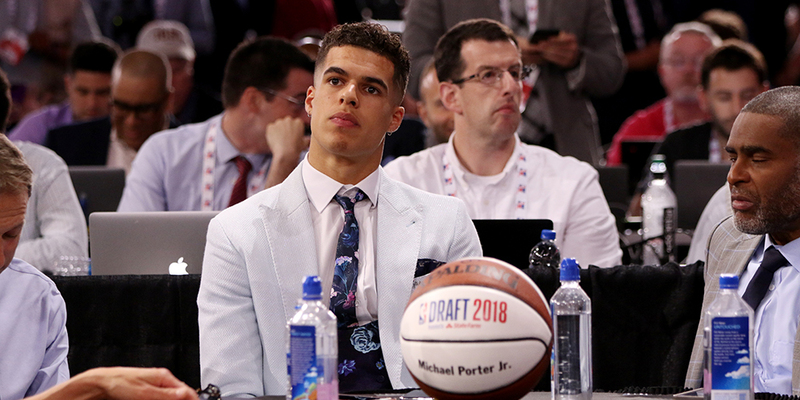 Michael Porter Jr.'s slide in the draft reveals a blind spot in team draft process: the right way to think about injury risk. I first learned about the concept of “red flags” after the 2009 draft. DeJuan Blair, an undersized power forward with monster rebounding and steal stats at Pitt, had been projected to go in the mid-first round for most of the time leading up to the draft. But on draft night, he slid. Past the mid-first, past the late first, all the way into the early second round. After being pegged as the potential 16th pick in Chad Ford’s mock draft, Blair was selected with the 37th overall pick by the San Antonio Spurs, having been passed on three times by the Portland Trail Blazers, at picks 23, 31 and 33. I was in the midst of my first year working for the Blazers in a part-time, remote capacity and I was struggling with how to approach everything I was learning. On the one hand, there was much about this world I didn’t understand, and it seemed right to defer to those in the business that had done it for years. After all, they had the experience, and if they were doing something one way there must have been a good reason for it. On the other hand, my natural contrarian streak made me question everything and push hard to poke holes in processes that didn’t make sense. So when I found out why we had passed on Blair, I didn’t know how to think about it. Was this a case of people inside the NBA knowing more, or a case where a different viewpoint could help arrive at a better answer?